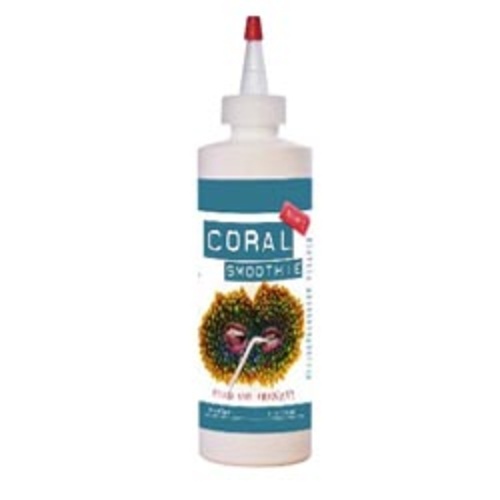 Coral SmoothieTM is a first of its kind for natural and convenient marine aquarium feeding . Coral SmoothieTM has been designed to provide the variety of food items found on tropical coral reefs. Coral SmoothieTM is formulated with everything from vegetable protein to whole zooplankton and eggs. Coral SmoothieTM has been proven to stimulate marine tanks drawing responses from invertebrates such as snails and shrimp to corals and fish. Coral SmoothieTM particle sizes range from 2 to 5,000 microns.